With a history dating back over 5000 years, Manila is a city that has been a hub for business since its inception. With direct business class flights to Manila available, you will arrive refreshed for your meeting or with vigour to explore. Our team of specialists can source you the best flights to suit your needs, as well as amazing accommodation options, transfers, tours, and airport parking. Whether travelling on business flights to Manila or for leisure, our friendly and professional team takes the hassle out of planning your next trip! The original walled city of Manila centres around the port and the district of Intramuros where the colonial governments of Spain and America reigned from. With fantastic examples of architecture including Fort Santiago at the mouth of the Pasig River built in 1571, and the Cathedral of Manila known for its papal visits, this district is a delight to wander on foot. This area of the city was heavily bombed by the Japanese during World War II before they occupied it, but through restoration and rehabilitation projects the district now is a window into the country’s heritage. At the southern end of the district lies Rizal Park, an iconic green space that celebrates the country and its history. With monuments to the national hero, Dr Jose Rizal, and many others, the park also contains some of the country’s best museums such as the National History Museum, the Museum of Anthropology, and the Museum of Fine Arts. Insider’s Tip: Although walking around this fascinating old city is easy, a walking tour with a trained guide will reap rewards to those interested in history. After experiencing the frenetic pace of the capital, take a day tour to the wild expanses south of the sprawling metropolis. A visit to Taal Volcano, the smallest active volcano in the world is a fantastic way to stretch the legs while seeing what Mother Nature is capable of. 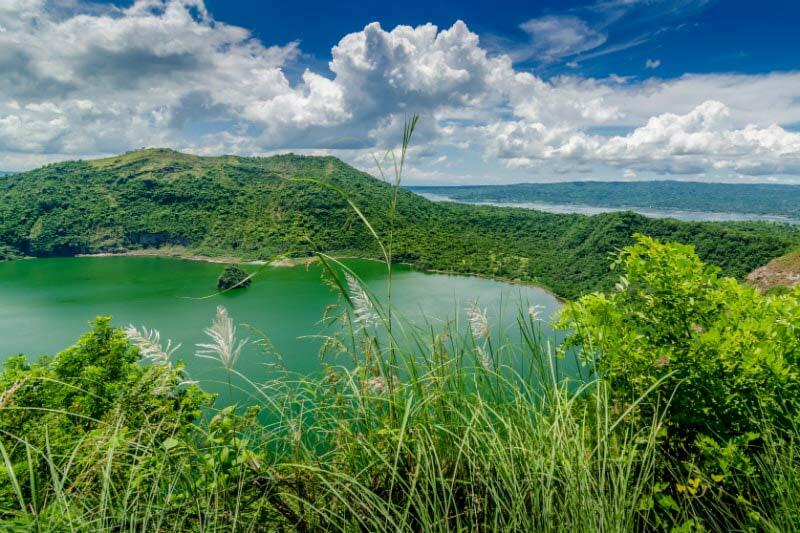 Take in the sight from the shores of Taal Lake or the nearby Tagaytay Ridge lookout, or an up close and personal experience can have you boarding a boat and then hiking to the crater rim for spectacular views. One of the best places to be immersed in the local way of life is to head to Quaipo Market near Quaipo Church. With vendors selling everything from eggs, fruit, vegetables, seafood, rice, and all manner of things never seen before, the market is also great for souvenirs at very good prices for those that want to try and haggle. 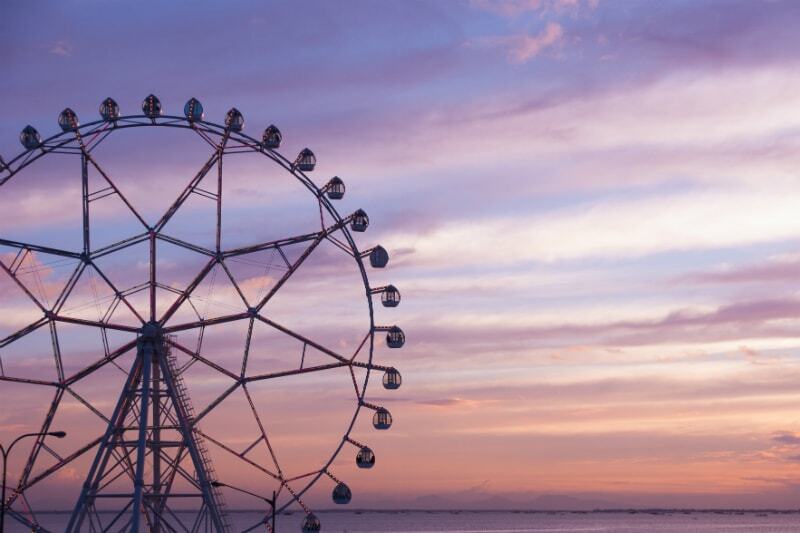 Fun for the whole family can be found on the waterfront at Star City. This amusement park has rides catering to all ages, sizes, and thrill-seeking levels. It even has a Snow World so that you can escape the heat and humidity for a while! Insider’s Tip: Try and organise to visit Star City on a weekday as the weekends get very busy with local school excursions. More family fun in air conditioned comfort, the Manila Ocean Park is great for children and those with an interest in marine life. With touch pools filled with sharks and stingrays, an underwater walk, and a glass-bottom boat ride, it’s a great way to spend an afternoon in the city after walking the streets of Intramuros. With an unbeatable location on the waterfront and next to Rizal Park, the Hotel H2O is perfect for small business meetings. 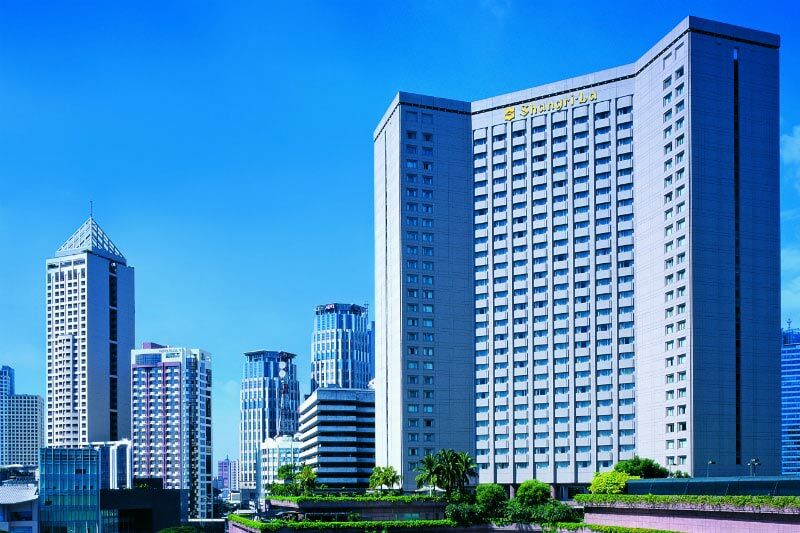 Situated in the business district of Makati, the Makati Shangri-La Hotel is a favourite of business travellers and holidaymakers alike. After the long flights to Manila, this is the perfect option! The metropolis of Manila includes the sprawling expanses of Quezon City and the skyscrapers of Makati before slowly changing to farming and untamed lands. Those on holidays to Manila may wish to explore further afield out to some of the 7,000 plus islands that make up the Philippines. These islands offer visitors spectacular diving and fantastic nature based experiences where volcanoes, rainforests, and waterfalls abound. 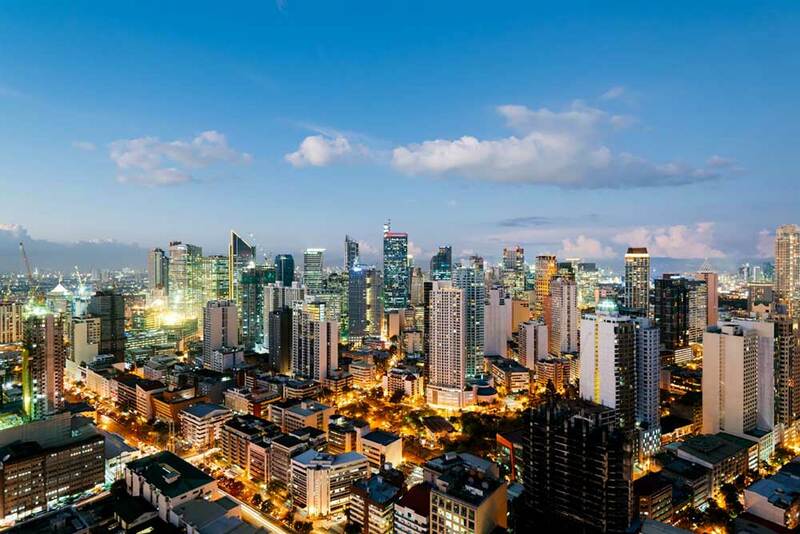 With only one airline operating direct flights to Manila from the UK, most travellers choose to connect through cities such as Hong Kong with Cathay Pacific, Singapore with Singapore Airlines, or other South East Asian cities like Bangkok or Kuala Lumpur.